The Maxwell and Morton Trophies are annual Scottish Curling events. The trophies are competitions between curlers of Scottish Ice Rinks, each rink being represented by three teams. The competition is played in sections throughout the season, with the top teams qualifying for the knock out stages. 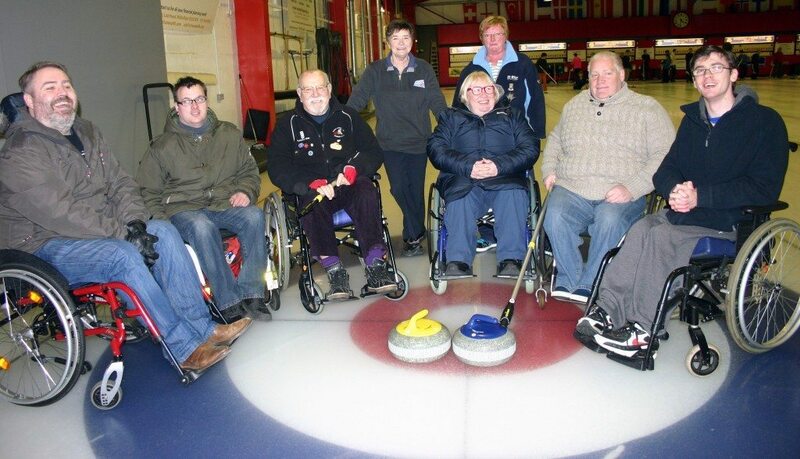 All participating curlers must be members of Scottish Curling. The Maxwell Trophy is a men’s competition between any curlers of local rinks, each ice rink being represented by three teams. The competition is played in sections throughout the season, with the top teams qualifying for the knock out stages in March. HOME: Murrayfield vs. Hamilton, Thursday, October 25, 3:00 p.m.
AWAY: Murrayfield vs. Forfar, Thursday, January 10, at 3:15 p.m.
AWAY: Murrayfield vs. Kinross, Tuesday, January 29, 3:00 p.m.
HOME: Murrayfield vs. Kelso, Monday, February 18, at 2:30 p.m.
Sign up sheets are at the top of the stairs in the club room. The final will be held on Tuesday, March 12 at the Fife Ice Arena. The Morton Trophy is a great way to get to play with fellow curlers in the Edinburgh Ladies’ Centre, as well as meet curlers from around the country. In this women’s competition, each ice rink is represented by three teams play who play in regional sections throughout the season before the finals day in March. Friendship and development are prioritised in this Ladies’ Branch competition. HOME: Murrayfield vs. Kinross, Thursday, December 13, at 12:05 p.m.
AWAY: Murrayfield vs. Borders (Kelso), Wednesday, January 30, at 12:30 p.m.
HOME: Murrayfield vs. Kirkcaldy, Friday, February 22, at 12:05 p.m.
Sign up sheets are on the Edinburgh Ladies’ Centre notice board, which is on the right as you enter the ice hall. The final will be held on Tuesday, March 12, 2019 at Lanarkshire Ice Rink in Hamilton.